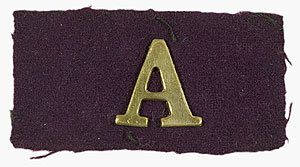 85 John Gilbert Ashton was 29 year old bricklayer a native of Lincolnshire England. His mother was Sarah Ashton (nee Hutton), his father, Benjamin was a building contractor, and John was his apprentice. There were opportunities for skilled builders and bricklayers in Australia in the 1900’s, the lure for John may have been good pay for his skill and a new life in Australia. 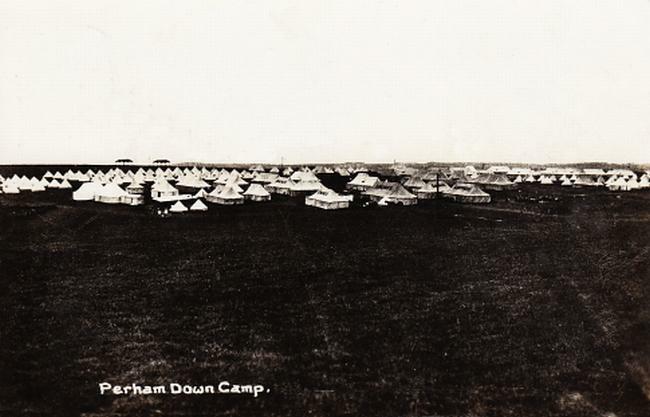 John Ashton was suffering from deafness in both ears and his condition never quite improved and while not one hundred percent fit to return to active service in the field, he remained for two years attached to the permanent staff company at Perham Downs England and was promoted to temp. Sargeant. After the war John “Jack” married Edith and returned to his trade as a bricklayer and they had two children, Joyce and Frederick. 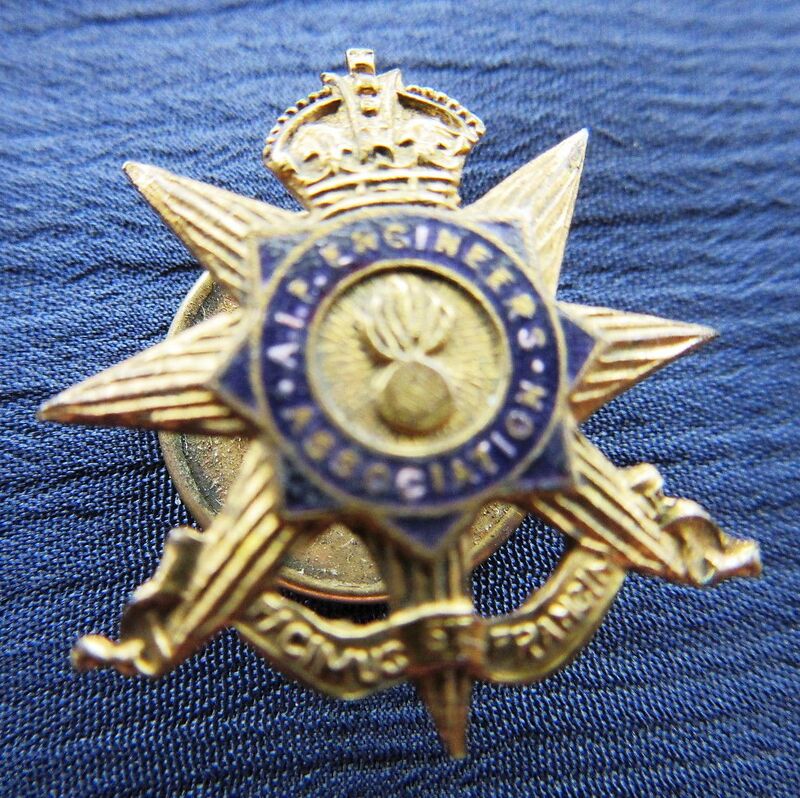 John was a member of the 1st FCE Re-union Association which was established in 1925 by the originals. He was an active and esteemed member and no doubt maintained his friendships with many of the surviving “originals”. Sadly John died in 1954 in his home at Birrong, NSW and Edith his loving wife died just four weeks later. The following notices were published in the Sydney Morning Herald 19th and 20th May 1954. 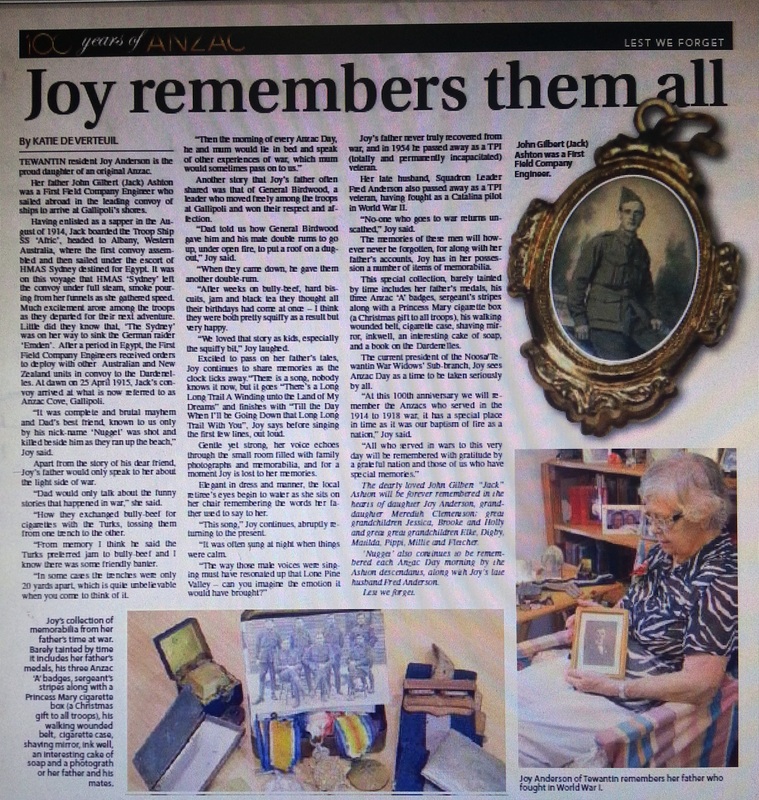 85 John Jack Gilbert Ashton was honoured and remembered this ANZAC centenary year by his daughter Joyce Anderson and a tribute in the ‘NoosaToday’ , the story by Katie De Verteuil.